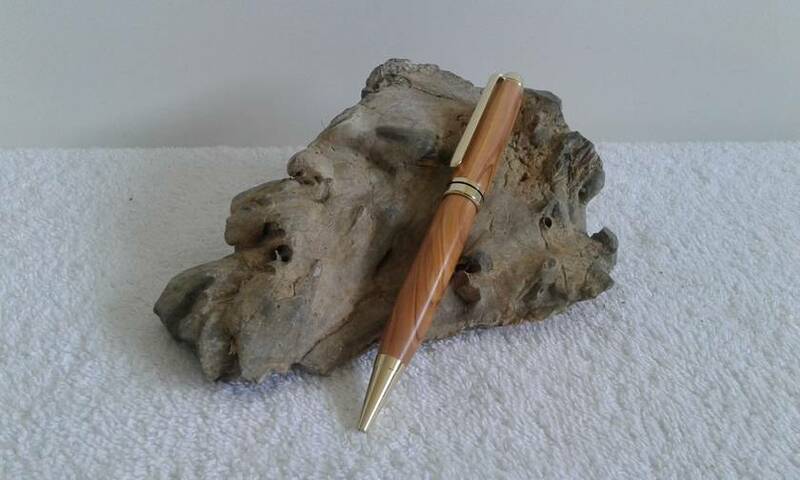 Unique hand turned Euro Style Ballpoint Pen in Bethlehem Olivewood with Gold plated fittings. Each pen is crafted with the utmost attention to detail and finished to perfection. 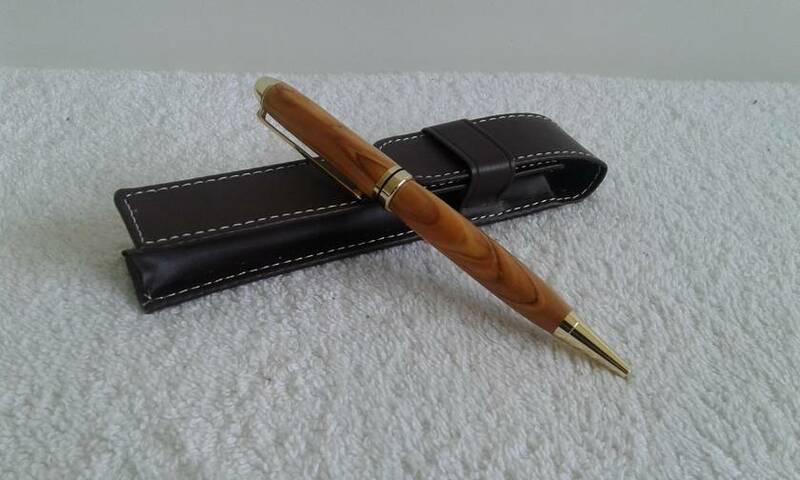 The Pen comes with a Leatherette Wallet and a Certificate of Authentication, making a perfect gift. 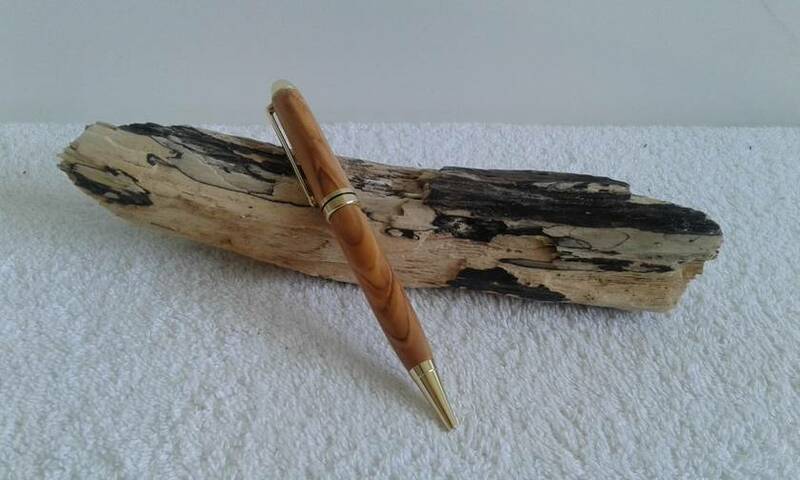 Olivewood is a light brown colour with a rich dark brown grain pattern which varies from pen to pen.